VaYchi, VaYechi or VaYhi is the twelfth weekly Torah portion in the annual Jewish cycle of Torah reading and the last in the Book of Genesis. It constitutes Genesis 47:28–50:26. 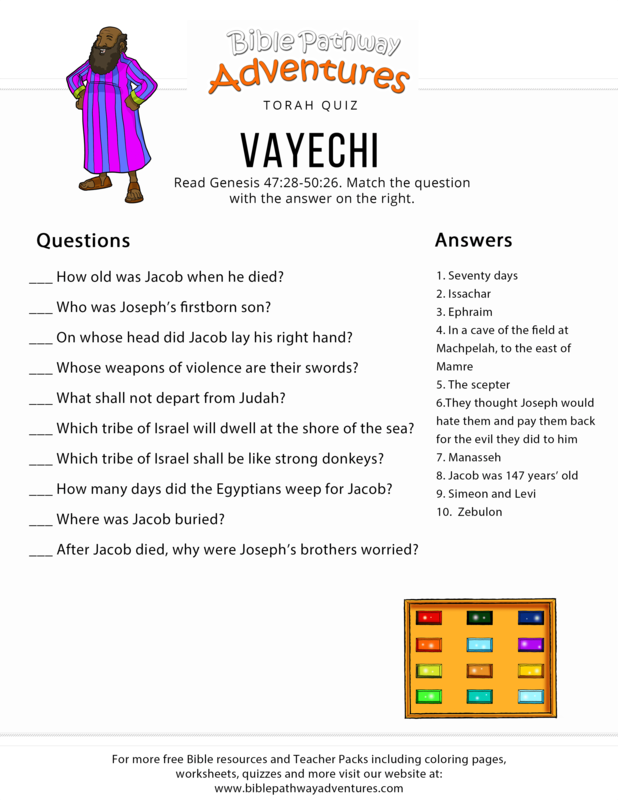 The last reading from the book of Genesis is named Vayechi (ויחי), which means “and he lived.” The title comes from the first verse of the reading, which says, “Jacob lived in the land of Egypt seventeen years” (Genesis 47:28). In this TORAH portion, Jacob prepares for his death by securing a double portion of inheritance for Joseph and then blessing each of his sons with prophetic blessings. The book of Genesis ends with the death of Jacob, followed shortly by the death of Joseph and a promise of redemption from Egypt.